If you're in the market for a new water heater, installation will be easier if you stick to a water heater that vents the same way as your old one. But there are considerations beyond ease of installation. Read on to learn more. When a home’s plumbing system is operating problem-free, homeowners rarely give any thought to the water heater. It’s a much different story when this vital appliance malfunctions, interfering with all those essential daily activities that require a ready supply of hot water. 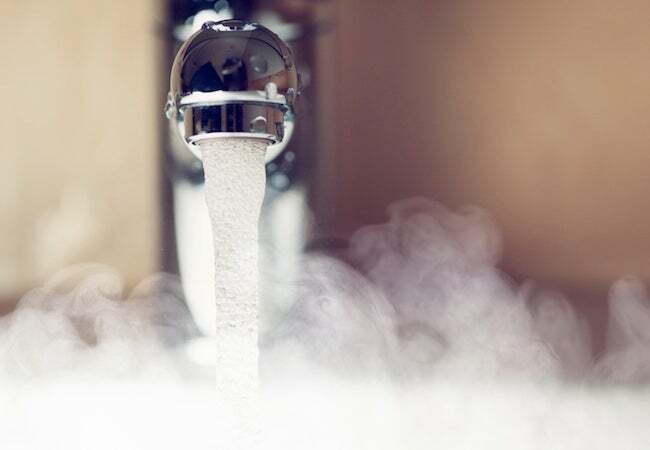 When that happens—being forced to take cold showers or clean dinner dishes by hand—you’re probably going to find yourself thinking about the water heater quite a bit! If your water heater seems like it’s on its last legs, or if it’s stopped working altogether, there’s every temptation to install a replacement as soon as possible. Rushing this decision would be a mistake, though. First of all, there are many different types of water heaters, and they boast a wide range of energy-efficiency profiles. How much you’ll wind up paying to heat water on an ongoing basis depends to a great extent on the type of water heater you choose. 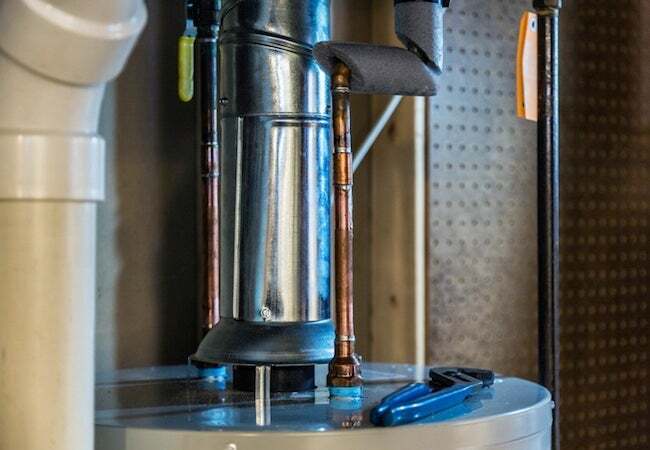 There’s also another, subtler reason to take your time: “Choosing a replacement water heater wisely often means avoiding unnecessary installation costs,” according to Daniel O’Brian, a technical specialist with SupplyHouse.com. If your current water heater requires venting, and most do, then it’s usually cheapest to go with a replacement unit that vents the same way. Otherwise, you’ll probably end up paying more than strictly necessary for installation. Does every water heater need ventilation? No—but as much as water heater technology has changed in recent years, combustion water heaters remain the most common. That is, the average water heater still burns fuel—be it natural gas, oil, or propane—and that fuel burning releases byproducts like carbon monoxide. Without proper ventilation of the noxious gases created by combustion, modern water heating would be a dangerous proposition. If you’re shopping for a solar- or electric-powered water heater, or if you live in a warm climate and plan on locating your water heater outdoors, then you don’t have to think about ventilation. Virtually all other installations, however, require some sort of exterior venting, but not every venting system functions the same way, and as a result, installation requirements can vary widely. • Atmospheric venting refers to a system in which exhaust from the water heater naturally rises out of the appliance’s combustion chamber, then travels up through a standard, chimney-style flue that terminates on the roof. Unlike some other types of ventilation, the atmospheric variety doesn’t call for the inclusion of a motorized fan, but it does require an exhaust pipe that stretches all the way from the water heater to the roof without interruption. • Direct venting and power venting systems offer greater flexibility, because neither requires a direct line to the roof. Instead, both systems typically expel exhaust through a pipe that runs outside through an exterior wall. 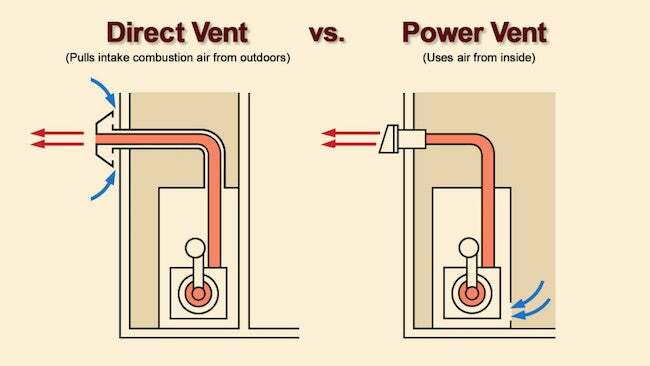 The difference is that a power vent water heater pulls in combustion air from the space around the appliance, then uses a fan to propel the exhaust through the vent. A direct vent system pulls in air from outside and then vents the exhaust through a horizontal pipe. 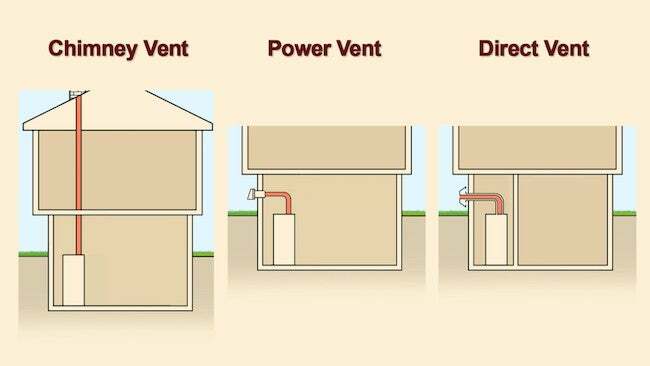 This difference in operation means that you can install a direct vent system almost anywhere, but a power vented water heater must be placed in a room with adequate airflow. “Choosing between powered and non-powered venting can often come down to simply how the house is laid out and where there is room for the venting,” notes O’Brian of Supply House. O’Brian recommends consulting with a contractor even if you plan to upgrade to a water heater that vents no differently than your old unit. It may seem like a straightforward swap, but when you’re dealing with potentially lethal gases, O’Brian cautions, “It’s very bad to have even minor leaks.” In other words, take no chances. Do your research, choose an efficient unit with a capacity that meets your family’s needs, then leave all the rest to your installer. SupplyHouse.com offers water heaters and accessories from top manufacturers—Takagi, Bradford White, A.O. Smith, and others—across a broad selection that spans all common fuel types, sizes, and ventilation options. Need help selecting the most suitable water heater for your needs and budget? Remember: The SupplyHouse.com team is always on hand to help. Visit the website or call 1-888-757-4774 to speak with customer service today!